January 2019 ~ Happy New Year ! 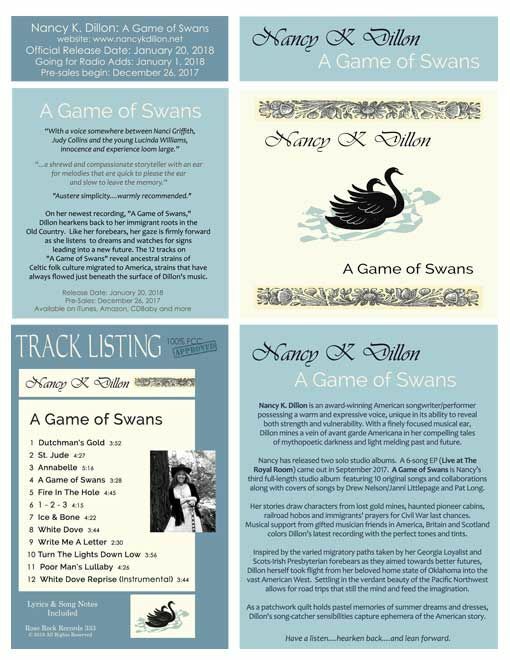 View album artwork for "A Game of Swans" CD: Scroll down to view album art. The Great American Song Contest: Folk/Americana: "No Goodbyes"; Lyric Writing: "All The Pretty America"
Occupy Seattle Song Contest: "All The Pretty America"